We are an independent creative production company based in Phoenix, Arizona. We are a collaboration of producers, writers, and directors with extensive commercial production experience. Full-service production company. We strongly believe Creativity, diversity, and collaboration is key to creating great work. Original content development and production services. Creator and producer of documentaries and television series for Discovery and theatrically released documentaries “The Joe Show” and “Mitchell 20.” Production services for RAW TV, BBC, A&E and National Geographic. Go to www.randymurrayproductions.com for samples of our work. Arizona native, trained in Los Angeles. Director and Producer of the feature film Broken Leg, as well as many commercials, short films, and music videos. 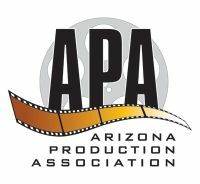 I’d love to help bring your project to life with the fantastic crew, cast, locations, and vendors Arizona has to offer. Eric has directed everything from concert DVDs to professional hockey games. He has experience with Corporate, Tricaster, Pro Sports, and Entertainment shows. He also has ENG-style single and multi-cam experience in studios and the field. I'm an Arizona director who has worked on two Netflix shows and six feature films, as well as Directed Feature films from coast to coast as well as south of the border, building a reliable reputation while always coming in under budget and on time. Nationally recognized, multiple award winning Director/Cameraman. Clients include Huggies, Glade, Curel, Alka Seltzer, G.E., McDonald's and many, many more. Member DGA. Webby Award-nominated filmmaker Mike Chesworth is routinely making international headlines, and photographed on every continent except the Antarctic, working with celebrities from pop star Madonna to sports icons like NFL MVP Tyrann Mathieu. Original content development and production services. CHESWORTH films specializes in emerging media. An award wining roster of directors with national commercial, documentary, and feature production experience. Feature projects include award winning BROKEN HILL, DEEP BURIAL, CARTER & JUNE, as well as the award winning documentary film POWER'S WAR. Commercial clients include Kelloggs, Jaguar, Leica, PetSmart, and many more. An award winning director, I have over 13 years of directing/2nd Unit directing experience in everything from feature films to live multicam productions that have aired on ABC. I have directed 3 narrative feature films and one documentary as well as several national commercials, industrial videos, 5 music videos, and over 10 multicam productions.